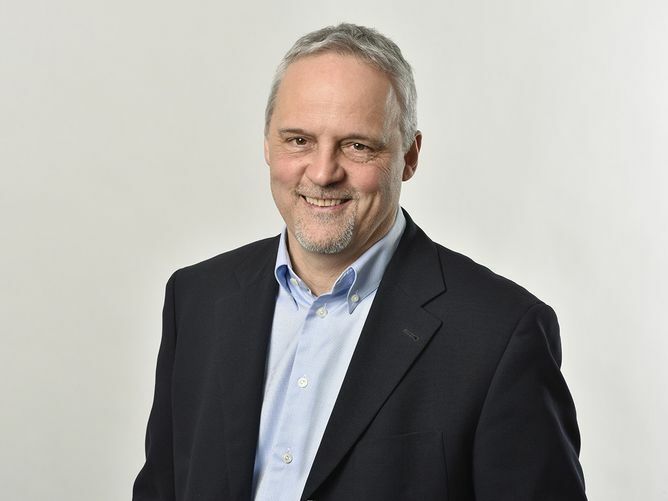 Goerner Formpack - intelligent packaging needs smart thinkers! 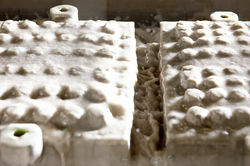 Development and production of moulded fibre products from recycled material. 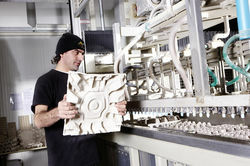 The development and production of moulded pulp packaging from recycled material for the technical industry and food industry – that is the enthusiasm that we live out on a day-to-day basis. 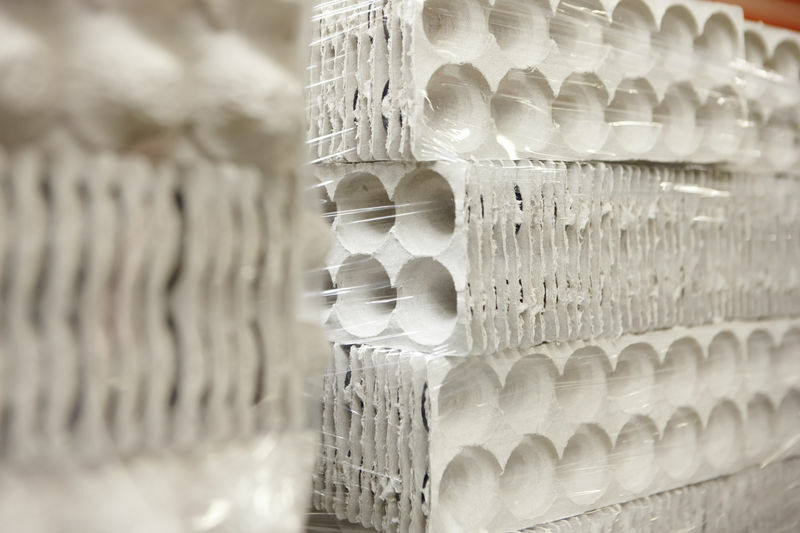 We rely on packaging made from moulded fibre products because they are the intelligent and sustainable alternative to Styrofoam and plastic. 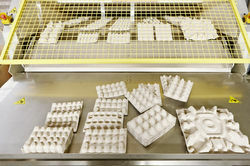 Space-saving and economic delivery of tube trays for the food industry. Development is more than just our daily work. 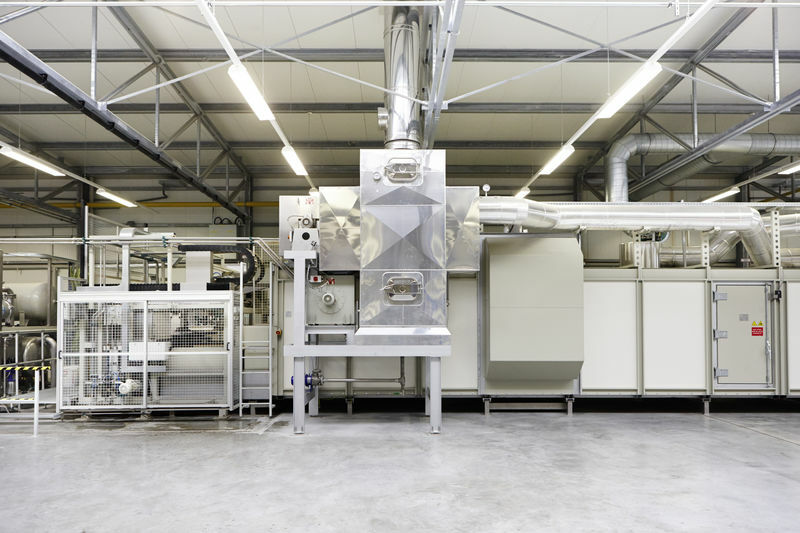 Enthusiasm is our daily spirit – Enthusiasm for the development of moulded fibre products made from recycled material for the technical industry and food industry. Environmentally friendly – A pure recycling product that can be completely disposed of. Flexibly to use – Moulded fibre products can be made from a variety of fibres – from recycled material to food-safe raw materials (fresh fibres). This multiplies the application possibilities. 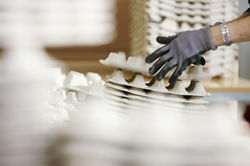 Cost-effective – Compared with existing packaging, large cost savings are generated in the disposal. High degree of transport security – Verifiable high stability and good dampening properties in free-fall tests. Space-saving – Savings in storage and transport costs because the parts can be stacked into each other. 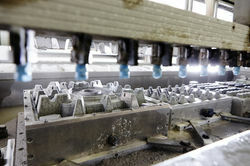 Flexible finishing - Depending on the requirements and customer requests, various finishings are possible (e.g. waterproofing). Safety - No danger of cut injuries. Easy handling - Saving of packaging time due to individual adaptation and easier handling. 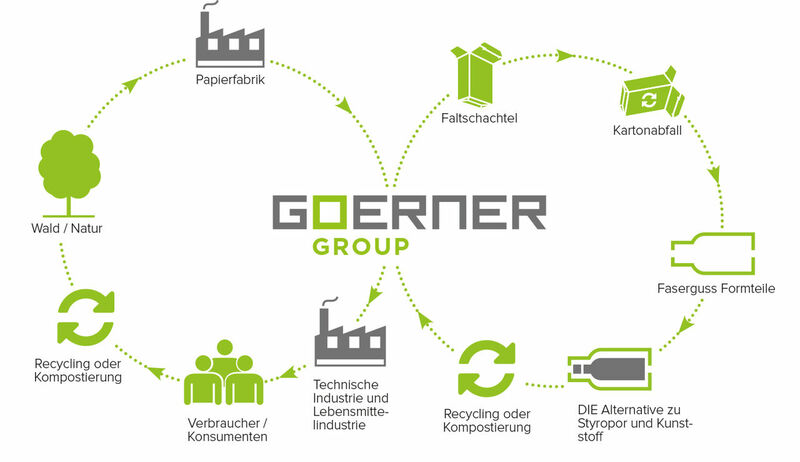 The Goerner Group does not simply talk about environmental friendliness, the company also actively lives by it with its packaging and moulded parts. 100 percent recycled material is given new life. Here we focus on the future while breaking the newest ground. 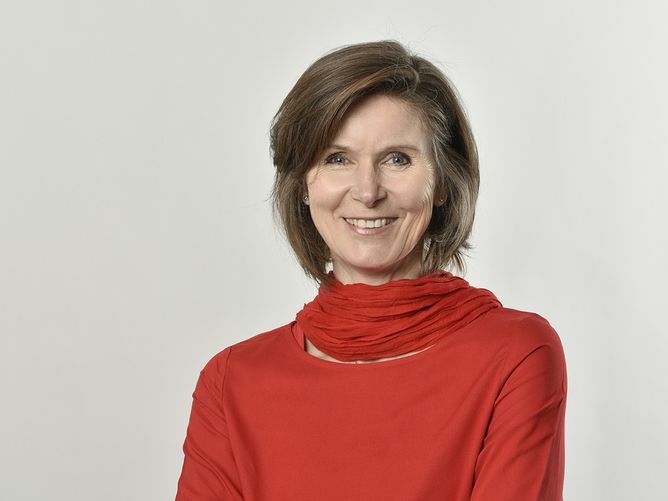 Ecological responsibility is a part of normal daily life in the Goerner Group, not just a buzzword in flowery texts. The careful handling of natural resources and the systematic avoidance of additional environmental impacts, such as long transport paths or the wasting of energy, are always kept in focus. Project management – a buzzword that many like to write on their banners. In an extensive development process, Goerner has been engaged with the support of projects, and has made their management into their mission possible . In this way, we guarantee our partners and customers a significant increase in efficiency, measurable time, resource and cost quality on top of individual solutions.